Tyneside Branch of NECPWA run a series of events across the year however Entry To Rallies requires everyone to display a ' Season Ticket'. One ' Season Ticket' allows entry for 1 car and driver + 1 passenger. Some events, e.g. Beamish Museum charge an entry fee for each additional passenger and Tickets are 'Non Transferable'. ALL cars must be roadworthy and have suitable insurance cover. 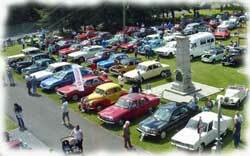 Durham Branch runs several smaller Classic Car events over the summer period. 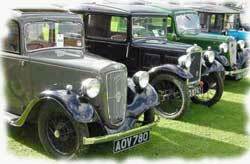 Entry to those is normally free and open to any classic car registered pre September 2000.